» The following are only the most recent additions to my collection. Full collection links are on the right. Hartford Wolf Pack player from 2017-2018. Name is sewn directly on. 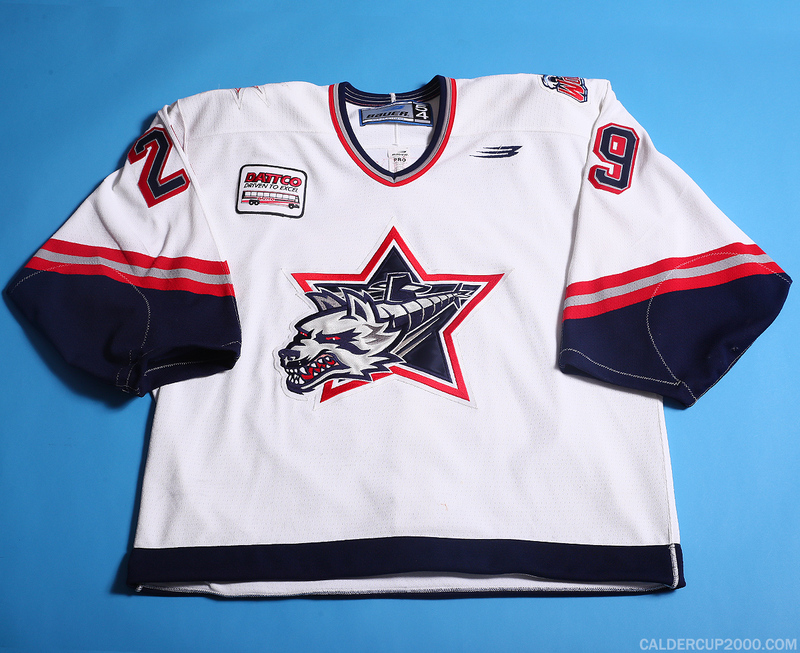 Light wear as these white alternates were only worn for two or three games during the season. 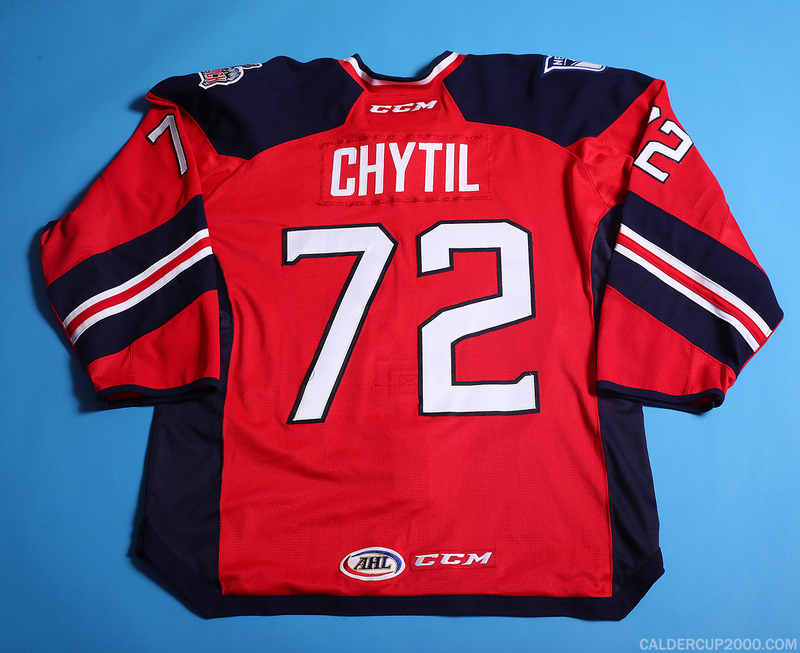 This set was given away in a shirt off the back promotion -- including this jersey -- at the conclusion of the season. Autographed on back shoulder. 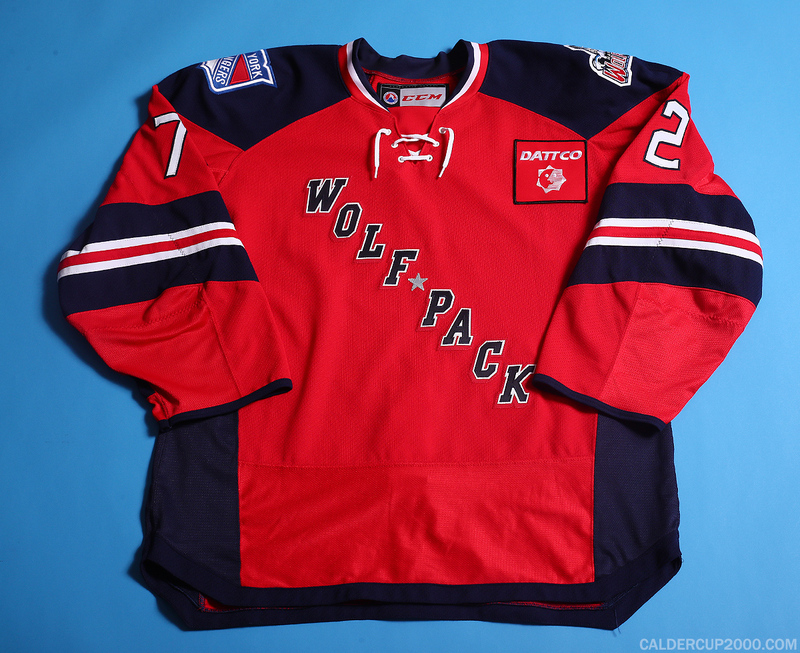 Hartford Wolf Pack player from 1998-2002.